There’s no greater peace of mind than knowing you have one less worry by having your vehicles serviced by the professionals at your local NAPA AutoCare Center. 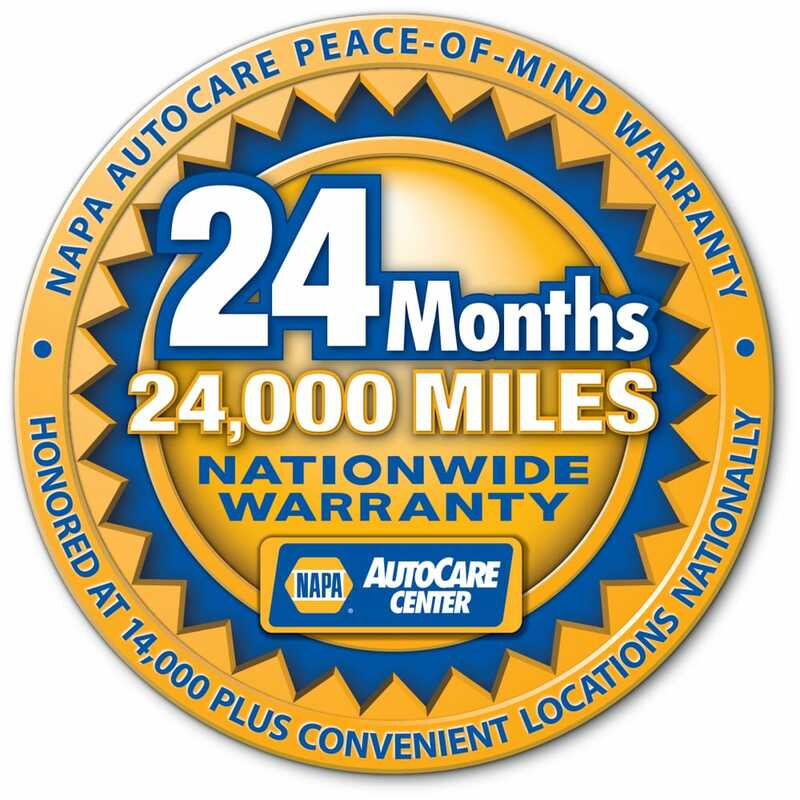 They stand behind their work with the NAPA AutoCare Peace of Mind Warranty. It’s a written warranty that is honored at more than 13,000 locations nationwide – more than any other automotive repair brand. So – no matter where your travels take you – if you ever experience a problem with a covered repair, you can count on a NAPA AutoCare Center being nearby.